American lamb is as popular as ever. California Ag Today recently spoke about lamb with Jim Percival, chair of the American Lamb Board, who is also a lamb producer in Ohio. “It is part of our culture, and the majority of the folks that raised lamb in the U.S. are family operations, family farms,” Percival said. Some of the farms are generational: three to five generations old. The American Lamb Board is working to build that domestic demand for lamb. They have seen an increase in the last couple of years. “We are finding that millennials love American lamb, and that is one of the things that excites us,” Percival said. “[There’s] our Feed Your Adventure Side campaign; we have also worked really hard to make lamb more approachable, easy to serve, and easy to fix,” he explained. Lamb is especially popular in California and other places on the West Coast. “We still do that lamb jam every year in San Francisco, and that is still a huge event that a lot of people show up to,” Percival said. After 16 years without open trade, Japan has recently opened back up for American lamb producers. Trade was closed after the BSE scare, and lamb was never able to be exported into Japan. As of two weeks ago, the first load of American lamb was shipped to Japan. The demand there is very strong; the Japanese want that premium protein product. “The chefs over there are asking for our product, and we see that as a real opportunity for growth for American lamb,” Percival said. “Japan was one of our biggest trade partners before it was closed. I’m sure it is going to have a huge impact on the California producers, and the demand there is very strong, but as with anything else, our biggest thing is to make sure that more Americans are eating more American. Lamb,” Percival said. The American Lamb Board, the U.S. Meat Export Federation, and ASI all worked together to open the market back up with Japan. Lois Rossi, who signed off on nearly all crop protection products at the United States Environmental Protection Agency (EPA) for nearly 37 years, spoke to attendees at the recent Maximum Residue Levels (MRL) Harmonization Workshop in San Francisco. Rossi gave her thoughts on the need for MRL harmonization throughout the world. Rossi was responsible not only for the registration of all conventional pesticides but also for the re-evaluation of approximately 400 active ingredients. Since 2004, she served on the Codex Committee on Pesticide Residues (CCPR) and was a member of the US delegation to the Organization for Economic Cooperation and Development (OECD) Working Group on Pesticides and the Registration Steering group. “There are process challenges from Korea, Taiwan, the EU, and Japan,” said Rossi, adding some are so difficult that not much can be done because of policy and regulation challenges. “Of course,” she explained, “I will suggest some harmonization opportunities, of which there are a plethora, and there is even a new one now with the Crop Group MRL. Just as you think you nailed that MRL calculator, somebody comes up with a different way,” she noted. Determining and understanding different data requirements are also challenging. Rossi noted registrants struggle to determine not only how many field trials a particular country requires, but whether they can be conducted within or outside of the country. Some countries require six, some four. Some regulations vary if it’s a minor crop or a major crop. Rossi said keeping up with these requirements, updated testing methods, NGOs doing their own testing, as well as improved technologies that measure smaller amounts of residues is difficult. So, going to one place to figure it all out would be great. “And then there is the wonderful world of Codex*, particularly with its capacity limitations. Rossi believes the Codex process has improved, but not its capacity. “That’s pretty much as old as Codex is,” she said. 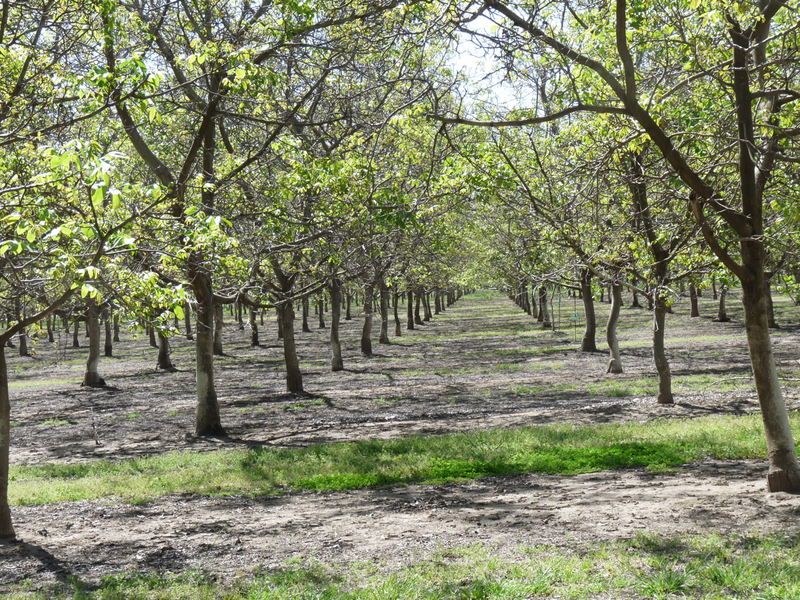 In a recent interview with Dennis Balint, executive director and ceo of the California Walnut Board, Balint discussed the Board’s promotion efforts on what has become another record walnut crop, grown on approximately 300,000 acres in the state. 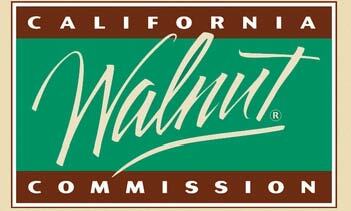 California Ag Today (CAT): Despite the drought, the valiant walnut growers of California have produced yet another record crop of 575,000 tons, up one percent from 2014’s crop, and crop quality is reported to be excellent. How does that relate to overall supply? Balint: This increase represents 5,000 additional bearing acres. Last year, the world availability was up about 140,000 tons higher than the previous year. We knew that we could absorb incremental production of 20,000 or 30,000 tons a year; however, 140,000 tons was a bit of a surprise. Couple that with the fact that China’s economy isn’t today what it was a couple of years ago. That has hurt us a bit. So at any rate, that means we are going to have a record total of availability this year, and I think we are going to see prices moderate. Now, the really good news is the industry had some foresight in approving a huge budget to market the product, so we’ll be having a serious marketing campaign in the 2015-2016-crop year. Balint: The board will continue promoting walnuts with print and television campaigns, as well as public relations efforts through Edelman Public Relations. That will continue on two fronts; one is consumer appeal, like recipes, and just raising overall awareness regarding the versatility of walnuts; but second and most importantly, Edelman is in charged with promoting health. Health continues to be a very important card in promoting our product to consumers and health professionals as well. CAT: It is always good that people think of health when they think of walnuts! Balint: Yeah they do. It is amazing how that number has changed over the years. CAT: Is eating more, better? Balint: You know we have a daily range. When we do studies, researchers will always look at the composition of the product and, depending on what they are expecting, they will adjust accordingly. So we have studies that are based on 1 ounce, 1.5 ounces, and 2 ounces daily. So it really depends on the end points they choose to look at. We try to never talk about compounds because we like to talk about the whole walnut, but occasionally researchers who are deconstructionists suspect a particular compound. Then we have to analyze it down to the nitty-gritty so somebody can put it in a pill. When that happens on occasion, researchers say, “Well, we really need to feed 2 ounces.” And in some cases, 2 ounces in the short-term works very well. In the long-term, being practical, 1 to 1.5 ounces is good. CAT: Please go back to the advertising budget. Is it mainly domestic? Balint: It is all domestic. The export program will remain intact—no changes there. We will still have good programs in a number of countries overseas, but all of the increased production is going into the domestic market. CAT: Do we need to increase per capita consumption to handle the oversupply issue? Balint: That is a good question. What we need is the following: We estimate, and we don’t have hard numbers, not much more than one in five households is purchasing and using walnuts on a regular basis. So that leaves a lot of room for growth. Our campaign has been designed to appeal to light and non-users, and not just the core consumer who is already loving walnuts and buying them on a regular basis, to expand our user base. We are doing so by presenting walnuts as an ingredient in salads, vegetable side dishes, entrees, and of course as a snack. As a matter-of-fact, we are waiting on copy testing results in the next week or two. CAT: Good. And walnuts make everything better and that’s what it is all about, isn’t it? Balint: Absolutely. Walnuts are a little added touch that makes food not only more interesting because of the color, texture, and taste, but also because it is healthful. All of our ads are going to have the heart check logo. I want to reemphasize health research will still capture a lot of media on its own. That will continue, ‘no reduction there. CAT: Are the ads in food or fitness magazines primarily? Balint: Food magazines, primarily. We have four executions of print ads and two television commercials. We are waiting for the test results for the ads. The copy testing we have done also includes what the experts call rapid eye movement. By observing people’s eyes, we’ll know when consumers like or don’t like a word or a phrase, or think something is plausible or implausible. We will also know where their glance goes, how long it stays there and where it goes next. This will help us structure the commercial to eliminate some of those “down spots” and focus on things that capture their attention. We will be reaching 95% of adults between the ages of 25 and 54 with this campaign on average 26 times per person over a period of about five months. CAT: Wow, you are running it on some big television programs? We’ll be going after different segments. For example, we have scheduled morning television segments like “Live with Kelly & Michael,” “Rachael” with Rachael Rae, and pillar events. A pillar event might be a broadcast on E! Network such as “From the Red Carpet at the Academy Awards” or an event in the sporting world. But that is not a focus. We will also include standard shows like “The Big Bang Theory” and so on. Television will be in ten key markets, and I don’t have the list in front of me. But we will also continue our aggressive social media program. We have a couple of new ideas that I think will capture people’s interest. CAT: Tell us about the campaign with the wrapped truck that looks like a walnut. Balint: We converted a food truck to look like a walnut by wrapping it with walnut texture and contoured the boxy truck into a rounded walnut shape. So when it is parked in downtown Manhattan or Washington D.C., the truck with those affixed contours makes quite a spectacle. CAT: So what were you doing with that truck? Did you hand out information? Balint: We made information available, facilitated games, hosted walnut cracking, and most importantly, served an ice cream sandwich made out of yogurt, walnuts and chocolate graham crackers. We had samples of walnuts as well. CAT: What is your health research strategy? Are you working with key researchers to compare eating walnuts with not eating any nuts? Balint: Our health research strategy depends on the target. Remember, walnuts are the only good food source of Omega-3; most nuts have no Omega-3. We like to test the whole walnut in a lot of our studies. Sometimes we will find an indication that one compound is more important than another; but we recently finished a study with 27 scientists for our annual meeting. They look at what we have done, what we are doing, and what we should do next. So it is not just guesswork, it is a carefully thought-out program that focuses on areas of greatest interest to scientists. One thing I will tell you is one day before the meeting began, we had six key scientists come in for what we call a “brainstorming session.” We asked them to tell us how to make our program better: the way we run our health research program, the way we run the conference and so on. The unanimous opinion of the six in attendance was not to change a thing. They said basically the program is a model for what should happen in health research, because we don’t go into research with a preconceived notion. We don’t go in and say, “Researcher, please raise your hand and provide us with a positive result on this disease.” We follow the science. CAT: What are your biggest markets abroad? Balint: China of course is huge. But other very strong markets include Germany, Japan, Korea, Spain and Turkey. China slipped this past year, of course, and we are all scratching our heads because we hear a lot about China. But their economy is a little soft. They had a crackdown on the gray market, which hurt business a little bit because some of the product that goes into China finds its way there through either Hong Kong or Vietnam. So China’s utilization this year was down. It is too early to tell whether they will return or continue at the same pace they experienced in 2014-15. We just don’t know yet. CAT: Are you promoting the health message in these foreign countries? Balint: Yes, and it is a really interesting situation. In countries that have a tradition of walnut-use like China, only about 40% of our messaging is health-related because they have known it is healthy for a thousand years. Whereas, in Japan, when a big story breaks accompanied by some television coverage, our sales will spike like you can’t even believe. So, it differs by market. Here in the U.S., it is very high, as in Germany and Spain. Turkey is building and India as well, but slowly. We have some issues there; India is a market in which they too grow lots of walnuts, but we are slowly but surely making some headway. The Korean market opened in 1994, but it was 2001 before we had any meaningful number of shipments. You have to be patient with some of these markets to be able to dismantle some of the trade barriers. CAT: Are there any markets in South America? Balint: Years ago, in the 90’s, there was an effort in Brazil and Argentina. Now, Chile grows walnuts, Argentina grows some, Brazil still grows a few. The Mercosur* pact down there (a special trading pack between South American countries) is a problem because the Mercosur countries trade duty-free. So we are at a disadvantage. We’re contra-seasonal. Last, but not least, we have a tariff burden. So we tried it for a couple of years, but decided there were better places to invest. CAT: Well, it’s interesting. We don’t see South America being a big market for almonds or pistachios yet either. Balint: It’s true; they grow Brazil nuts and, as I said, walnuts. Chile, as a matter-of-fact, is increasing their plantings. As their plantings increase, their initial sales will remain within the South American continent. When they get into the summer, especially late summer, they will sell what they have left into markets like Korea, and if they can, France and Germany. They basically go into our markets and try to sell in advance of our crop. CAT: How are California growers doing? They are going through another year of drought, and I’m sure you are worried…. Balint: Everyone is, and we are all waiting for the other shoe to drop. Here we are with another record crop, and we know the reason for that. It’s because five or six years ago, somebody planted more walnuts, and they are coming online now. It appears as though we are trying to grow more walnuts in the middle of the drought, though the fact of the matter is those trees went in the ground long before water scarcity became as bad as it currently is. CAT: Exactly, Fresno County just released their numbers last month and broke a record 7 billion dollars. Kern County and Tulare County broke records as well. In terms of ag value, we are not taking such a hit, mainly due to high nut prices. Balint: Even before I was in the commodity business, I used to work for a company in Massachusetts called William Underwood Company. They had B&M (Burnham & Morrill Company) Baked Beans, Underwood Deviled Ham and other meat spreads. That is where I learned about commodities. We had an economist on staff to predict the prices of navy beans, fatback**, sugar, ham hocks, and chicken. I learned it was much easier for the chicken guy year to year; he would just have more chickens to count! The bean people could have more beans. What about the walnut people? If the trees weren’t in the ground, they were not going to get more walnuts. *Mercosur or Mercosul (Spanish: Mercado Común del Sur, Portuguese: Mercado Comum do Sul, Guarani: Ñemby Ñemuha, Southern Common Market) is a sub-regional bloc. Its full members are Argentina, Bolivia, Brazil, Paraguay, Uruguay and Venezuela. Its associate countries are Chile, Peru, Colombia and Ecuador.